TheLawMap: Sunday Law Review: the week that was 26th Feb. to 3rd March. Sunday Law Review: the week that was 26th Feb. to 3rd March. Two further concessions on the Legal Aid bill was announced by the government as February ended. Criticism of the definition of domestic violence in relation to legal aid has instigated a rethink. The government is to bring their definition in line with the Association of Chief Police Officers (ACPO) definition. A Ministry of Justice spokesman defined the amendment to the legal aid bill as a measure that would put it ‘beyond doubt that those who have suffered physical, psychological or financial domestic abuse would continue to receive legal aid to help them to resolve any separation disputes over property or child contact’. On medical negligence it would be retained in ‘obstetrics cases which result in severe disability’. A ‘declaration of intent’ by the Bar Standards Board (BSB) ushered in the launch of its final scheme for regulating advocacy focused alternative business structures (ABS). The board approved a lengthy consultation, which includes details of the entity regulation plans, a new handbook introducing changes to the barristers’ code of conduct, and proposals to allow the conduct of litigation. Subject to meeting ‘outcomes-focused provisions’, barristers would be permitted to share premises or practise in association with non-lawyers, with only an obligation to notify the BSB. The Financial Times reported that the valuation of the firms are ‘calculated by deducting costs from a firm’s reported revenue to get notional profit before tax, from which partner compensation is then subtracted. Corporate tax is then applied to get profit after tax. Europa then used a range between 12 and 15 of multiples of earnings that law firms would theoretically trade at, based on ranges seen at public professional services firms’. As the appointment of 88 new Queen’s Counsels was announced, the Law Society Gazette rued over the lack of solicitors among the successful applicants. Since 2008, only six solicitors have been made QC. Dame Joan Higgins, chair of the QC selection panel, has voiced her concern over the considerable hesitancy on the part of solicitor advocates to apply for silk, even where they may be qualified to do so. Of the successful applicants, 23 were women and 6 of the new silks are from an ethnic minority. One employed advocate has also been appointed. On the eve of this April’s Council of Europe Summit in Brighton, the government is calling for the European Convention on Human Rights to be substantially rewritten so national courts could wield greater influence. The proposal is to prevent cases reaching the European court if the question is substantially identical to one that a national court has already considered. The UK is seeking an amendment to the human rights convention to enshrine what the Strasbourg court refers to as the margin of appreciation, allowing states a level of discretion in applying the convention. The phone-hacking scandal that led to the collapse of ‘News of the World’ has claimed perhaps the highest profile resignation. James Murdoch, has stepped down as the executive chairman of News International, owners of the collapsed newspaper. He would however, remain as deputy chief operating officer of parent group News Corporation, run by his father Rupert. A frequent commentator on media practices, Max Mosley, the former chief executive of Formula 1’s governing body and himself the subject of a ‘News of the World’ allegation, wrote in CNN about the need to completely overhaul the Press Complaints Commission (PCC). Mosley proposes ‘two entirely separate bodies, one to make the rules, the other to enforce them. The rule-making body could even emerge from the existing PCC which already has quite a good, but un-enforced code’. The Royal College of Midwives has welcomed a landmark judgement in an employment tribunal against an NHS trust. Central Manchester University Hospitals NHS Foundation Trust was ruled to have unlawfully deducted pay. The tribunal unanimously found that the trust was attempting to link sickness to the withholding of incremental progression. It has now been ordered to pay the claimants any money that they have lost out on due to this. Jon Skewes, RCM director of employment relations, said that ‘the test case sends a stark legal warning to the NHS and the government that they cannot take midwives for granted and ride roughshod and trample on the employment contracts and conditions of our members’. In a separate case involving midwives, in Scotland, two Catholic midwives have lost a legal bid challenging a health board's decision that they were not entitled to refuse to delegate, supervise or support staff involved in abortion procedures. Mary Doogan and Concepta Wood argued that as conscientious objectors, they were entitled to refuse to delegate, supervise and support staff taking part in abortions or providing care to patients during the process. Being required to supervise staff involved in abortions is a violation of their human rights and they took their case against NHS Greater Glasgow and Clyde to the Court of Session in Edinburgh. In a response to the ruling, Neil Addison, Catholic barrister and Director of the Thomas More Legal Centre, stated that the ‘case is yet another example of the way in which the UK Courts are interpreting s9 of the European Convention on Human Rights (Freedom of Religion) in the most limited and restrictive way possible’. The debate on abortion is not new. Nor is there any likelihood of it to disappear. Citing the recent online death threats issued by anti-abortionists to two academics, Julian Savulescu, editor of the Journal of Medical Ethics, has stated that the intimidation endangered free speech. The academics, Alberto Giubilini from the University of Milan and Monash University in Melbourne and Francesca Minerva from the University of Melbourne and Oxford University, argued in the journal that, as "potential persons", newborn babies, like foetuses, do not have the same moral status as "actual persons". On the week when a Sunderland football fan was sentenced over racist tweets about rival team Newcastle United, a black professional footballer, Mark McCammon became the first to sue his former employers Gillingham FC. McCammon’s claim centres on less favourable treatment of black players by the club in taking different stances over punishments handed out for missing training, medical treatment for injuries and pay cuts after relegation from League One. The claims would be heard at Ashford employment tribunal in Kent later this year. The club rejects the allegation and refused to comment any further until the tribunal hearing has taken place. Sunday Law Review’s two recommended reading articles from this week’s publications are by the outgoing Archbishop of Canterbury Dr. Rowan Williams on ‘Human Rights and Religious Faith’, published in ABC Religion and Ethics, and my very own guest blog published in DietJustice entitled, ‘My view on the London 'riots'. Rowan Williams’ excellent article is a reminder of responsibility on both the secular and the religious factions working on human rights issues, to acknowledge the importance of the final goal. The DietJustice article on last August’s London Riots analyses the philosophical undertones of political comments that attempted to explain the riots. 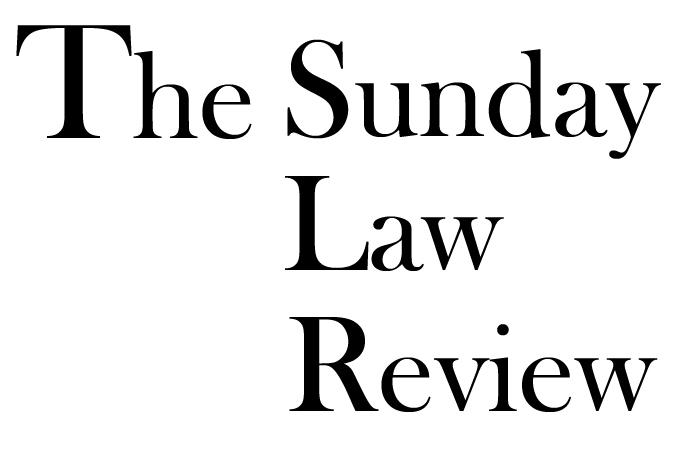 As ever, I thank the legal representatives, journalists, web editors and publications I have cited, and linked, for allowing me to compose this week’s Sunday Law Review. 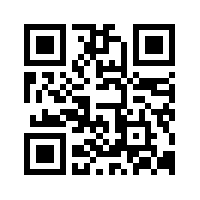 Readers are welcome to highlight any critical omissions, offer factual corrections or discuss the issues raised in my review.